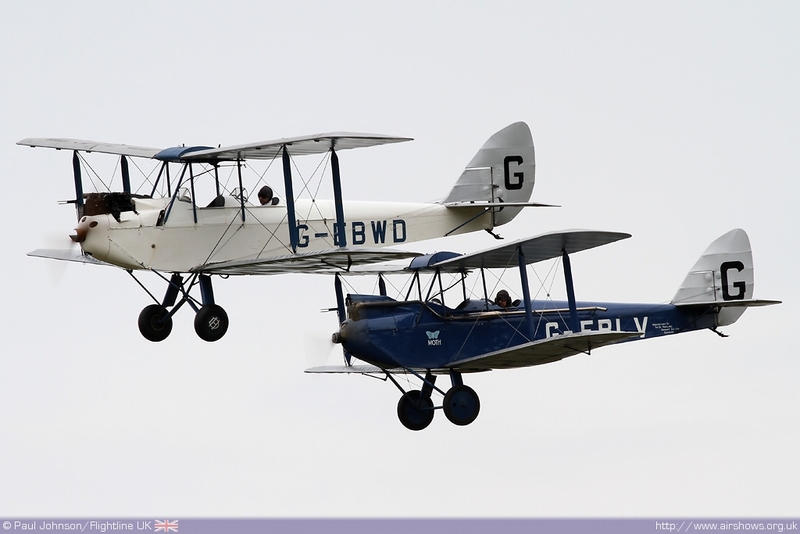 After what has been described as the warmest and driest spring on record for many parts, it could not have been a greater irony that Old Warden's "Midsummer" Air Display would turn out to be cold, grey and eventually slightly damp. 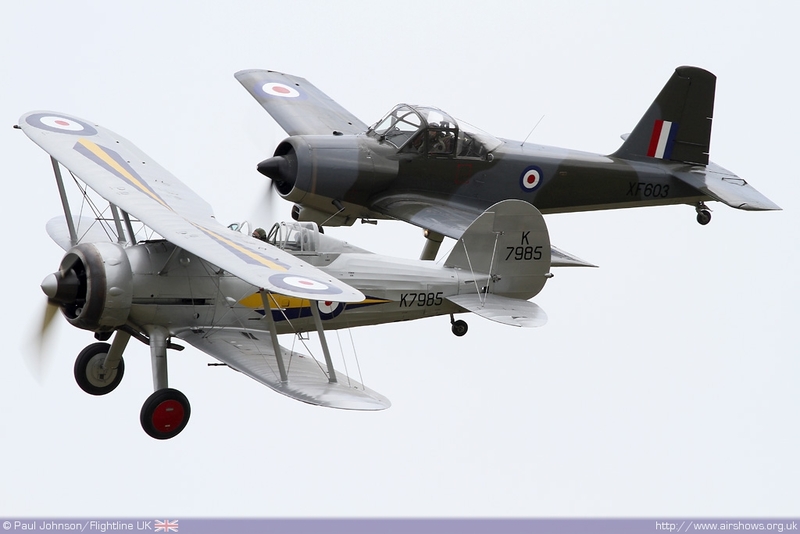 Like the previous full air display back in May, there was no particular theme to the afternoon's flying display - just a chance to show off some wonderful and rare machinery at perhaps one of the UK's finest air display venues. 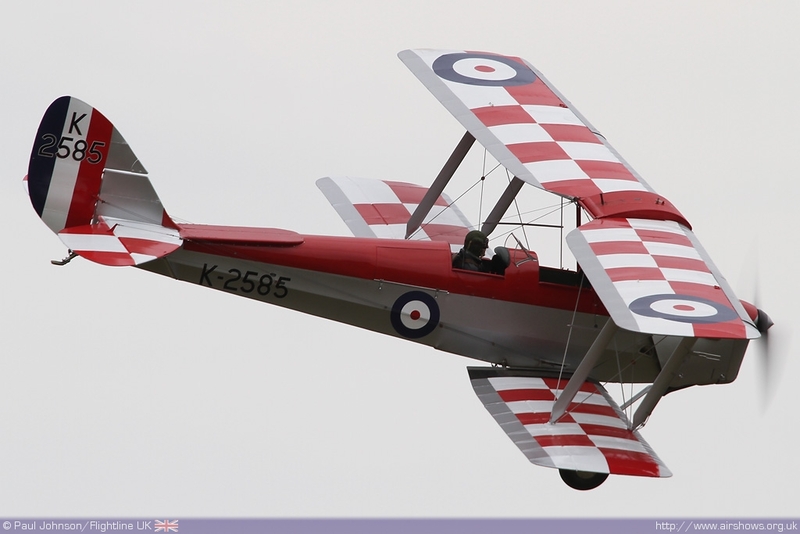 Even on a grey old day like that for the Midsummer Air Display, Old Warden is a fantastic airshow venue. 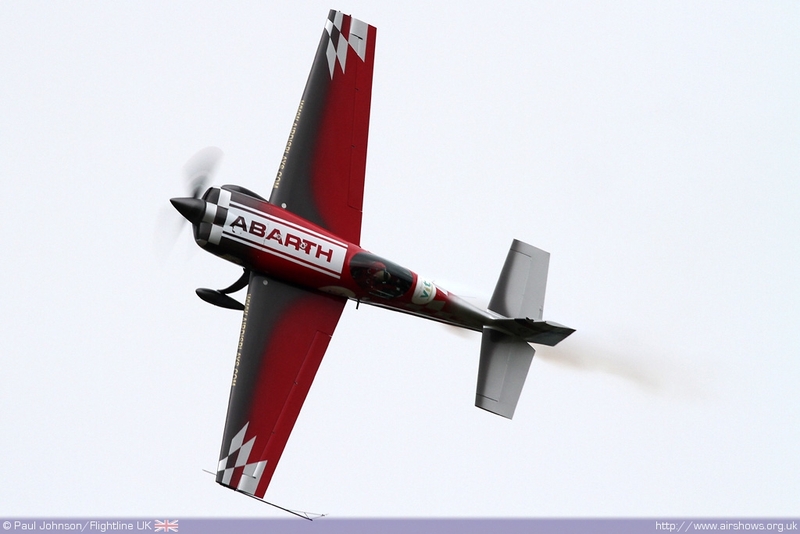 Nowhere else gets the crowd quite so close (well within display flying rules) to some first class displays. 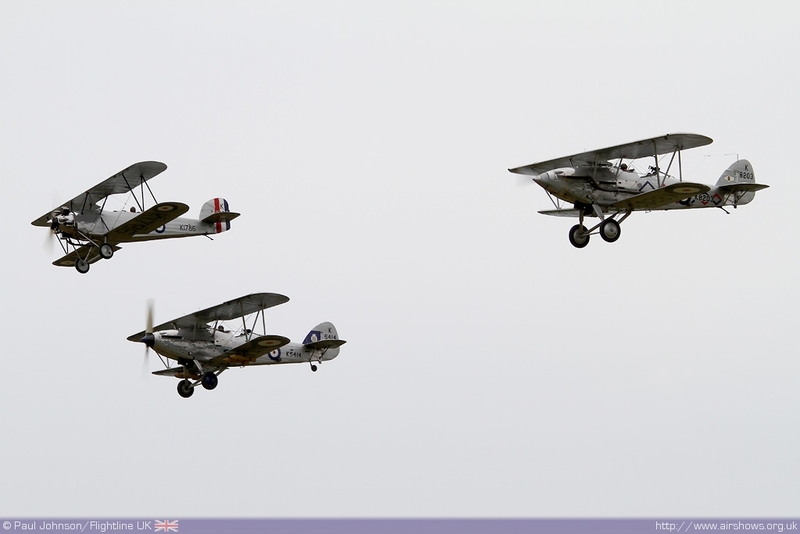 The Shuttleworth Collection's amazing fleet of airworthy aircraft always provides a rich three hour flying display topped off with the invited outside displays. 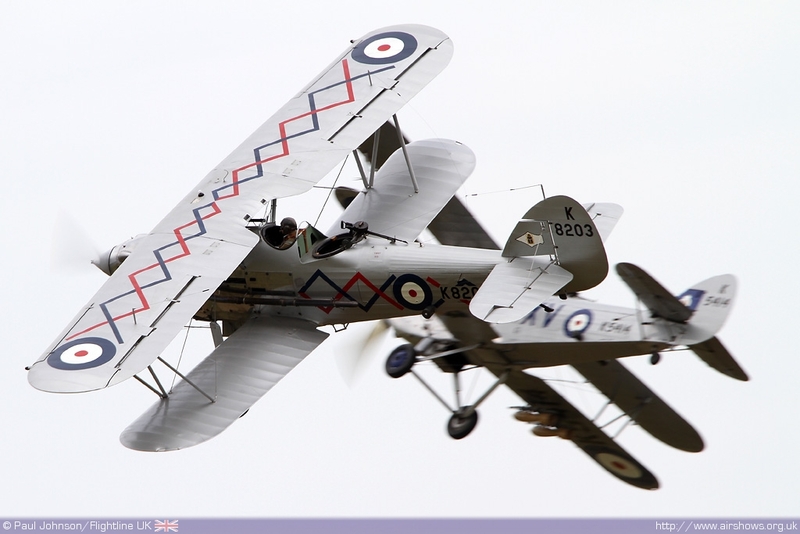 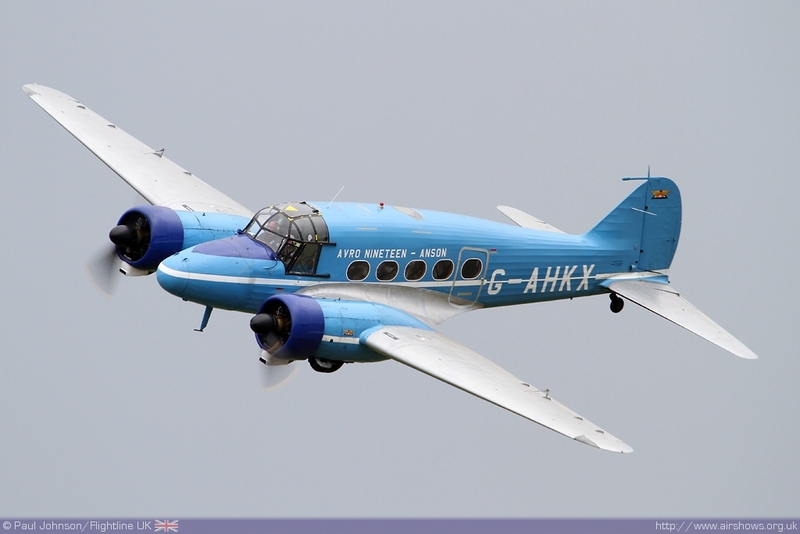 However, the flying action often starts much earlier with test flying and practice displays throughout the day as well as vintage and classic car parades and the other attractions of Old Warden park to occupy the visitors. 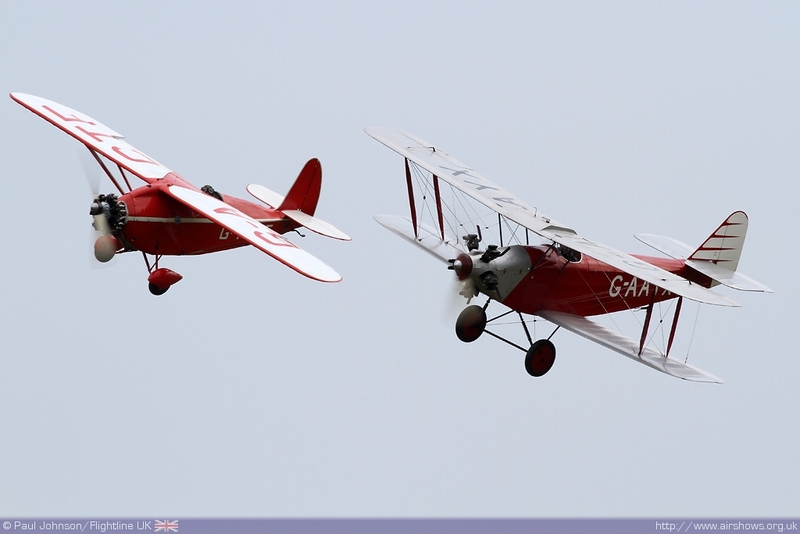 One of the great things about Old Warden is just how relaxed and civilised airshow are! 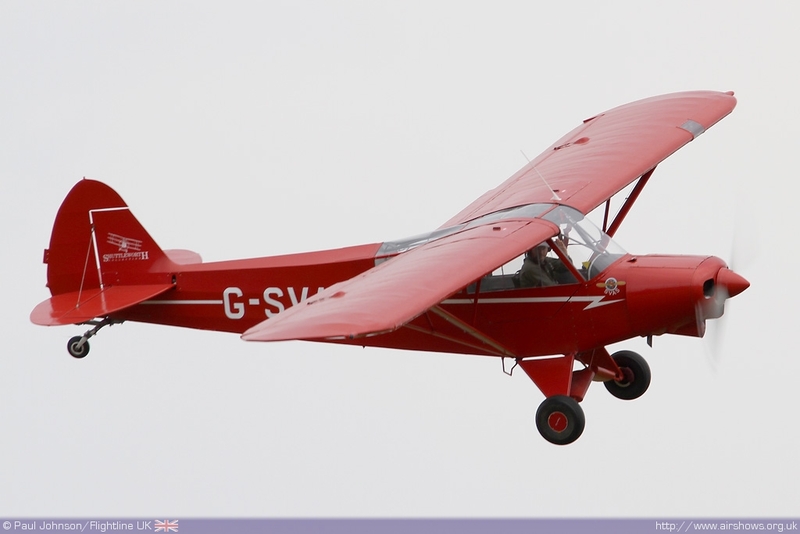 There's seldom any reason to rush to Old Warden with its leisurely pace and the perfect sloping car park that means there absolutely no reason to rush for a front seat - in fact in all honesty, I prefer standing back from the display line to get some slight elevation over the flying! 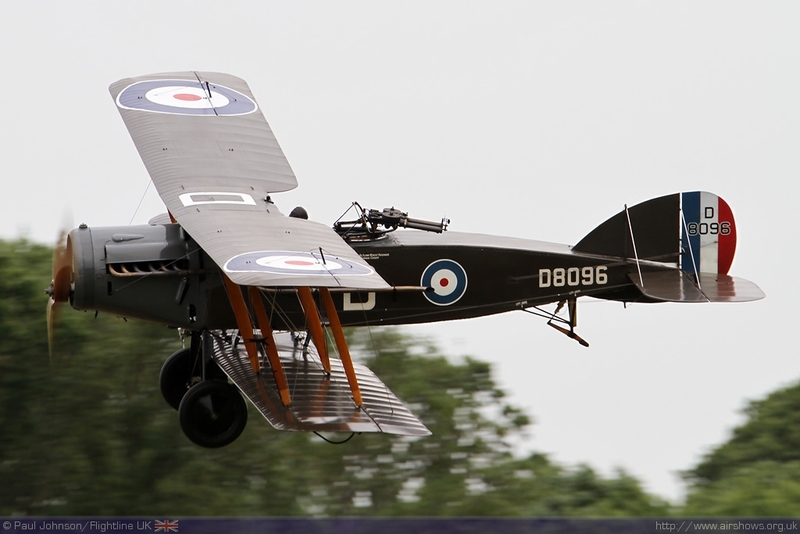 The layout of Old Warden lends itself brilliantly to showing off some of the old types. 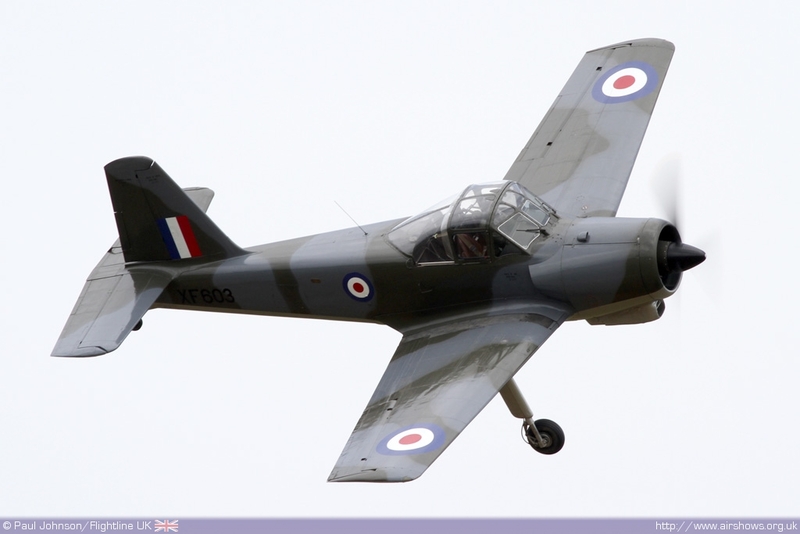 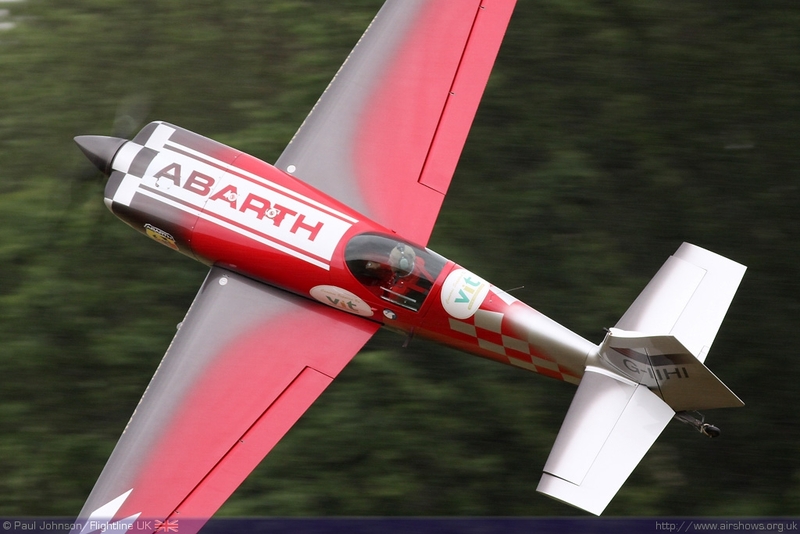 The curved display line following the aerodrome fencing means that it is very rare for a display aircraft not to show the top surfaces of its wing! 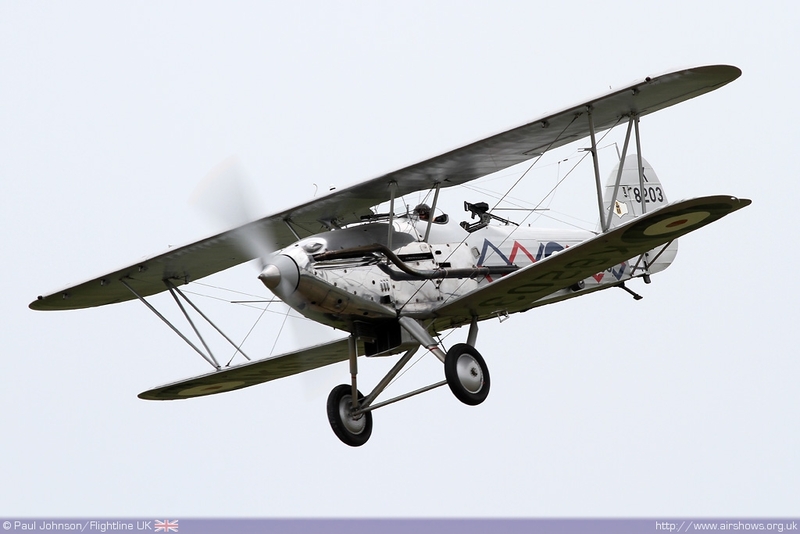 While it was nowhere nearly as windy as the Spring Air Display, the noticeable north easterly winds did keep Old Warden rather cool as well as preventing some of the more fragile types flying. 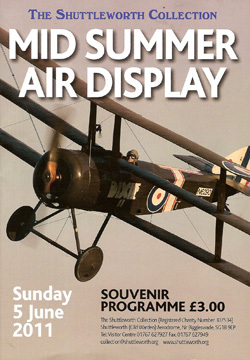 As in the previous show this did mean the Sopwith Triplane was unable to take part in the flying, but it was started in front of the crowd to demonstrate it's rotary engine again supported by expert commentary by Trevor Roach. 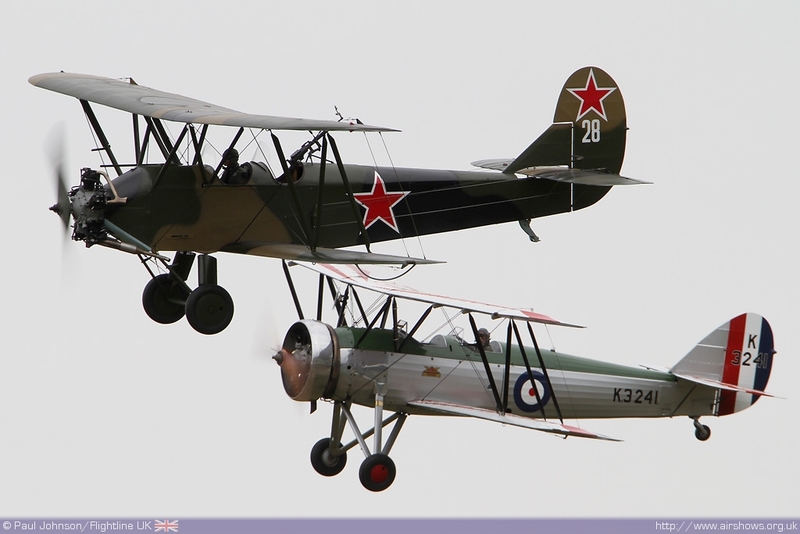 In the air, the unique pairing of Avro Tutor and Polikarpov Po-2 got the flying underway. 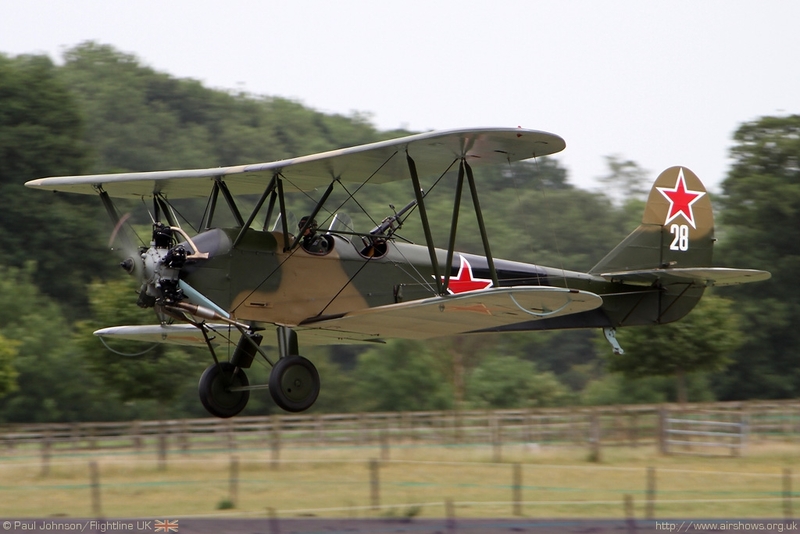 The latter is already a firm favourite at Old Warden with its Soviet heritage and epic exploits in the Second World War and the Korean conflict. 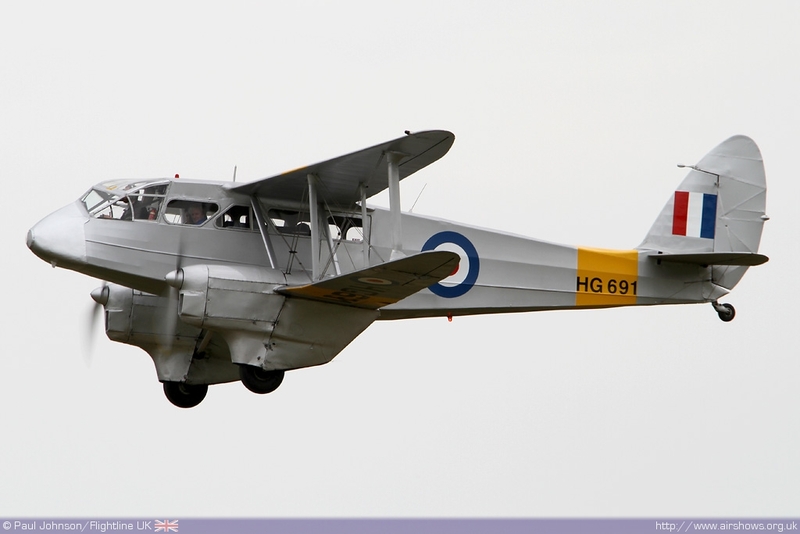 However, like many aircraft in the Collection, the Po-2 is actually a training variant of the famous biplane and the training theme was continued by the De Havilland DH60 Moth and DH60X Hermes Moth providing a link of interwar club flying and pilot training. 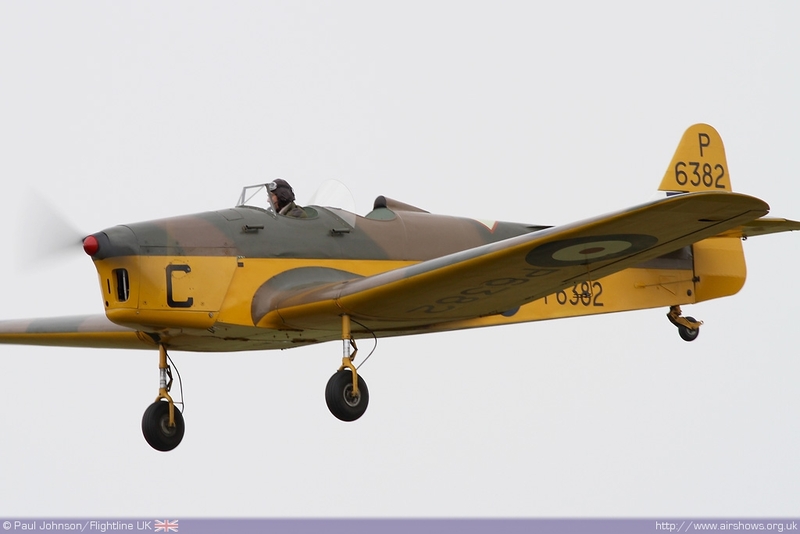 They were followed by the traditional barnstorming displays which involved the Collection's Piper Super Cub, De Havilland Chipmunk, Tiger Moth and Magister. 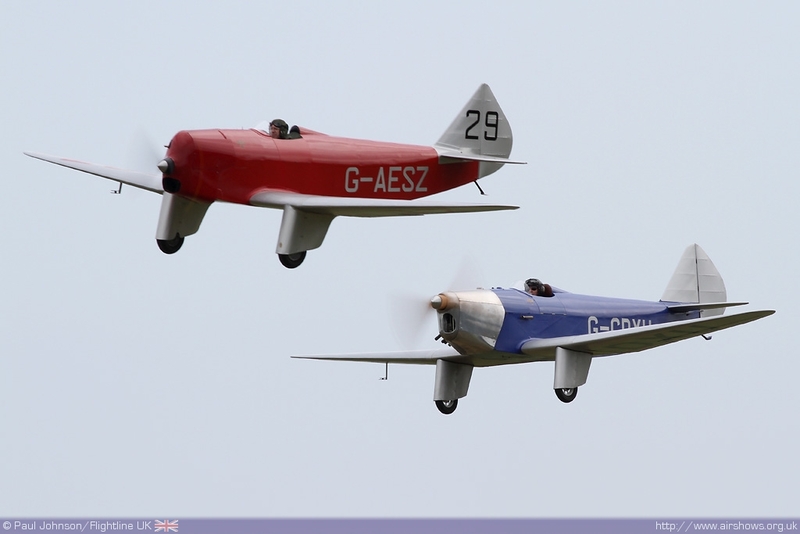 Sporting aviation was continued later in the flying programme with a collection of air racing aircraft from 1930's vintage with the Comper Swift, Southern Marlet and the Chilton Monoplane pair. 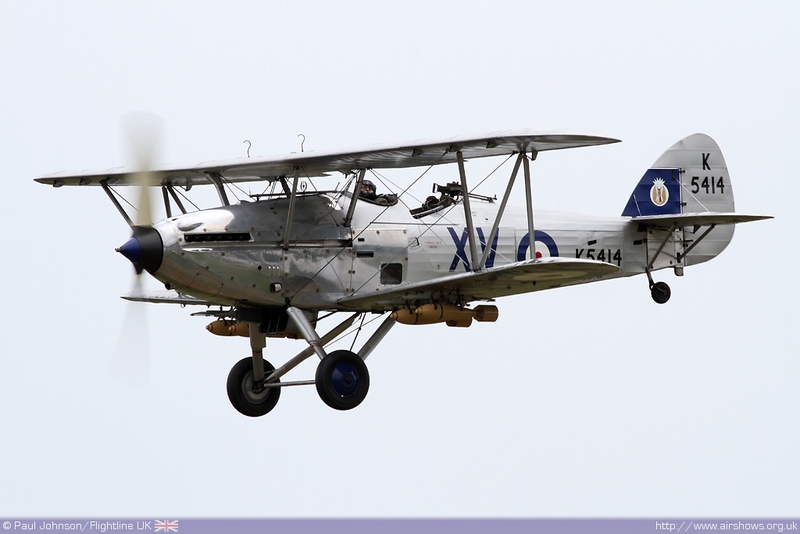 The only world war one aircraft is get in to the air was the magnificent Bristol Fighter which was joined by a range of military aircraft that saw service from the 1930's right through to the end of the Cold War. 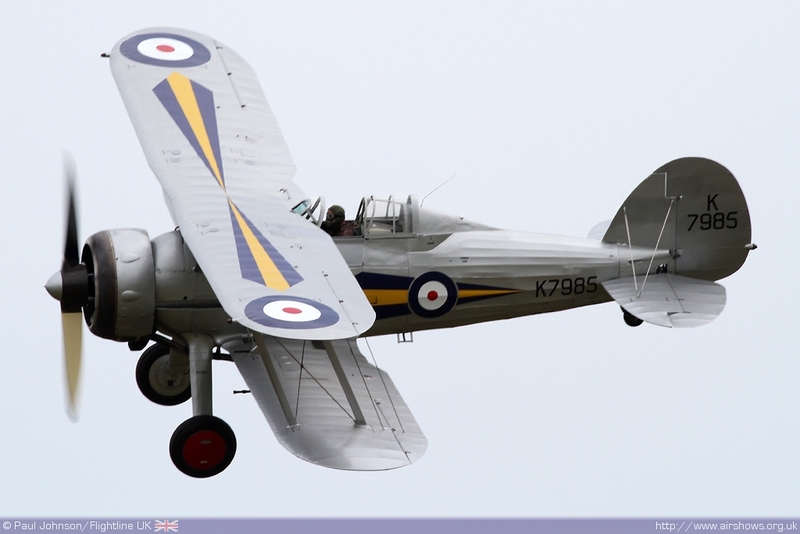 There was a wonderful collection of Hawker biplanes in the display with the Hawker Tomtit joined by the Hawker Hind and Hawker Demon. 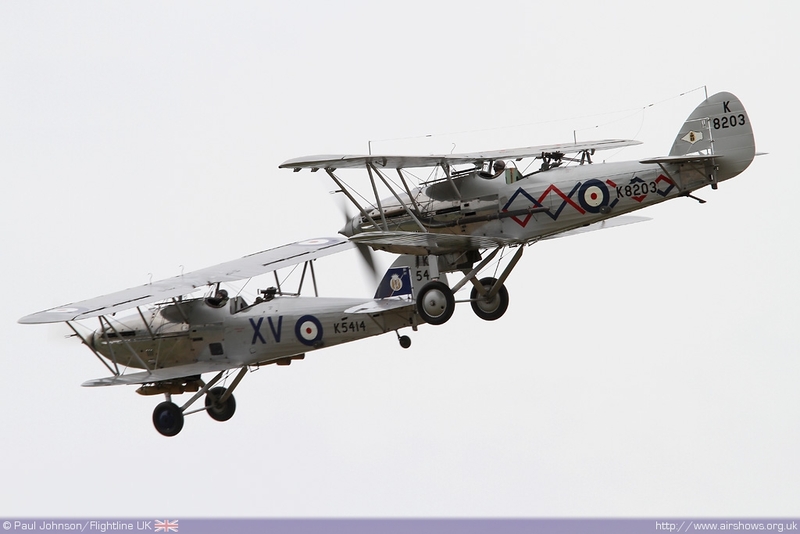 An unusual pairing were the radial powered Gloster Gladiator and Percival Provost demonstrating that Cold War training aircraft were comparable to the fighters of the late 1930's! 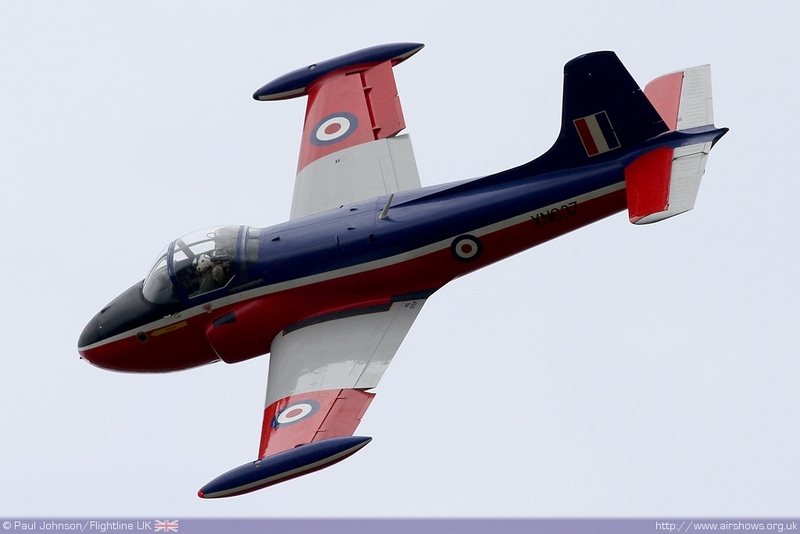 The Percivial theme was continued by the appearance of the North Weald based Jet Provost T3 providing the only jet action of the afternoon. 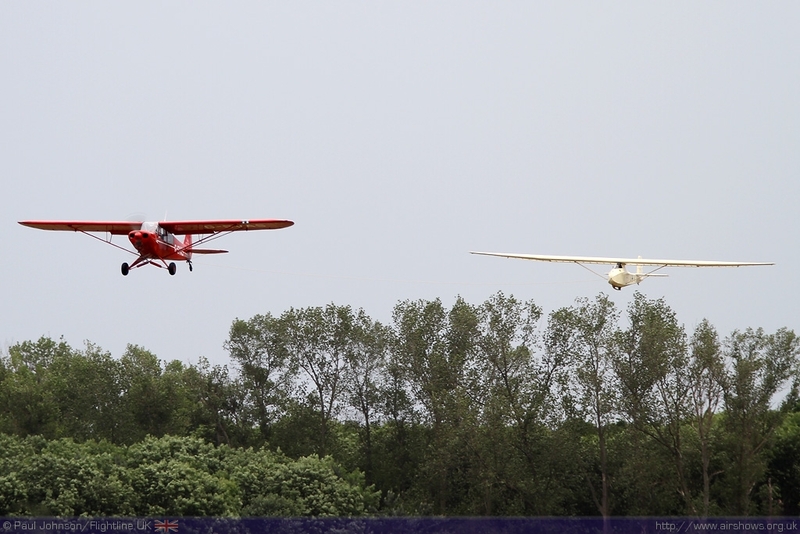 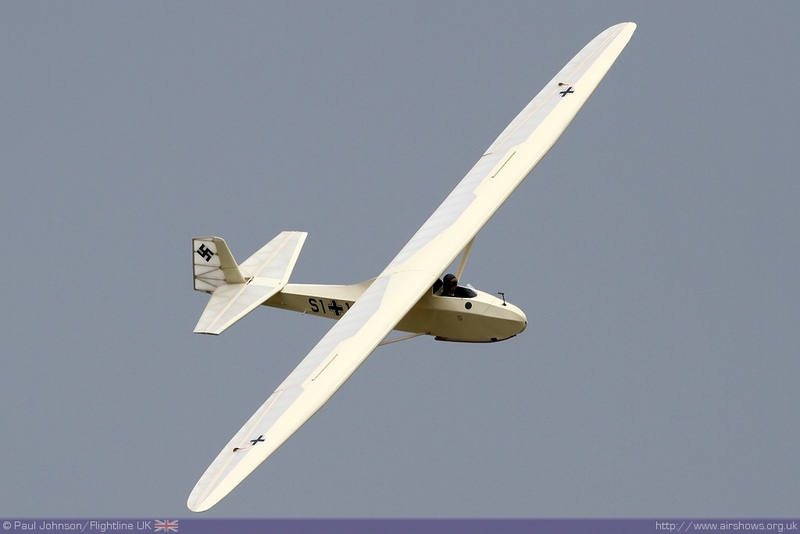 Perhaps the most unique display of the afternoon was that given by the Granau Baby glider aero-towed in to the air by the collection's Super Cub. 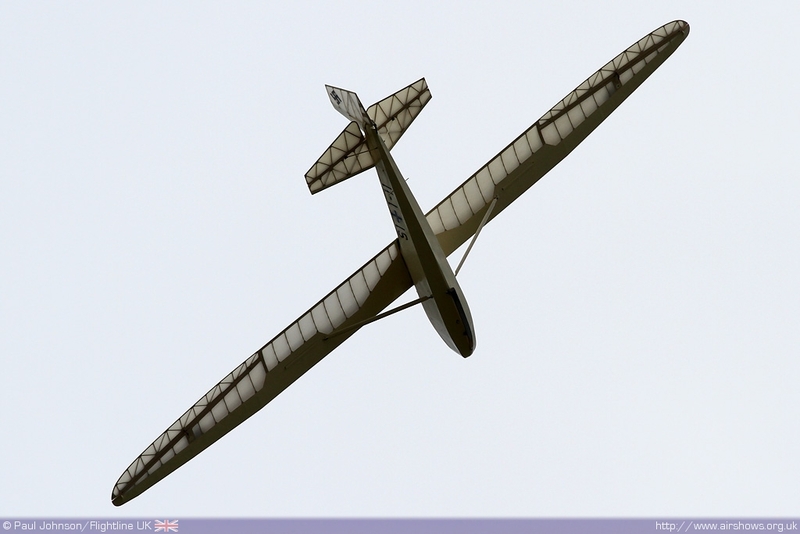 Vintage gliders have become a welcome feature of the Old Warden flying displays providing a contrast to the noise of all the powered aircraft. 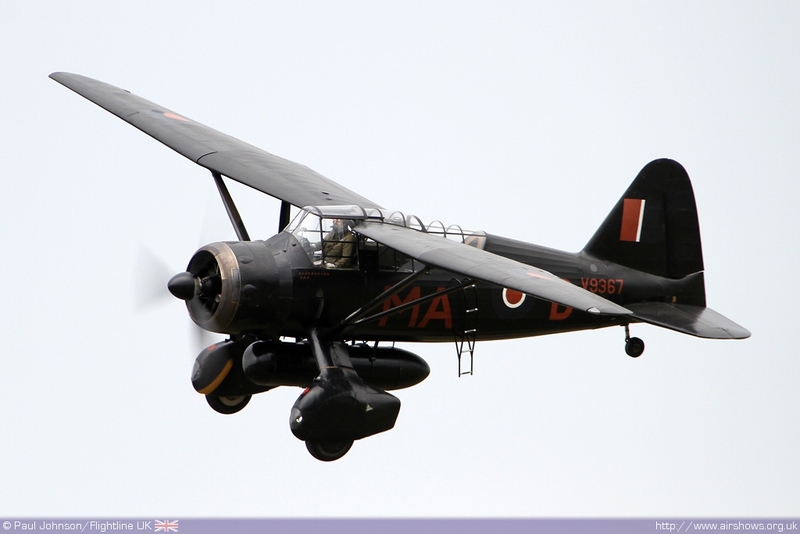 The final segment of display of Shuttleworth aircraft was based around World War Two types with the Avro 19 Anson and Westland Lysander flying displays providing plenty of topside passes for the cold, but appreciative audience. 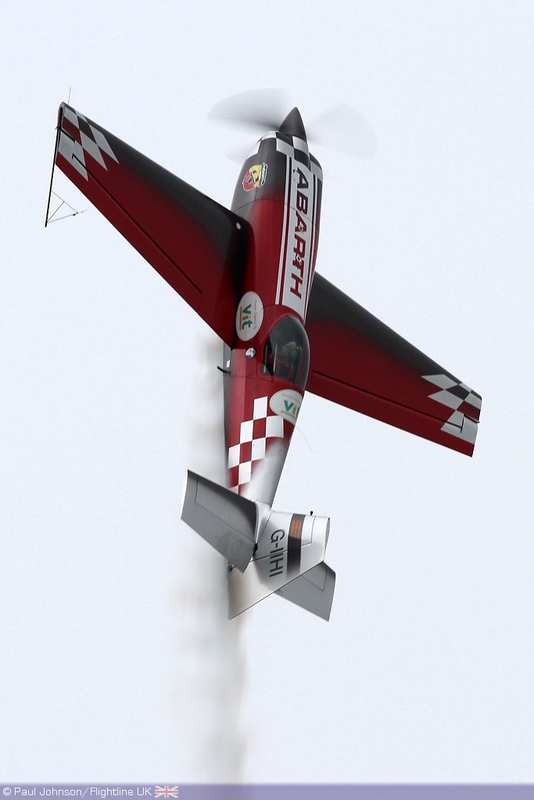 The final display act that flew just before the heavens opened was Mark Jefferies in his Extra 330SC competition aerobatics aircraft. 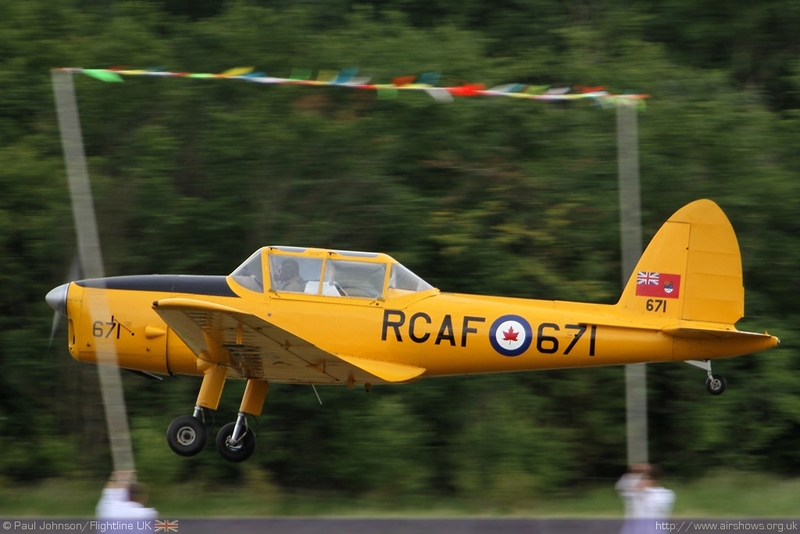 His display was in total contrast to everything before demonstrating the awesome power of this world beating aircraft was hovers, flicks and tumbles in the now fairly dark grey skies. 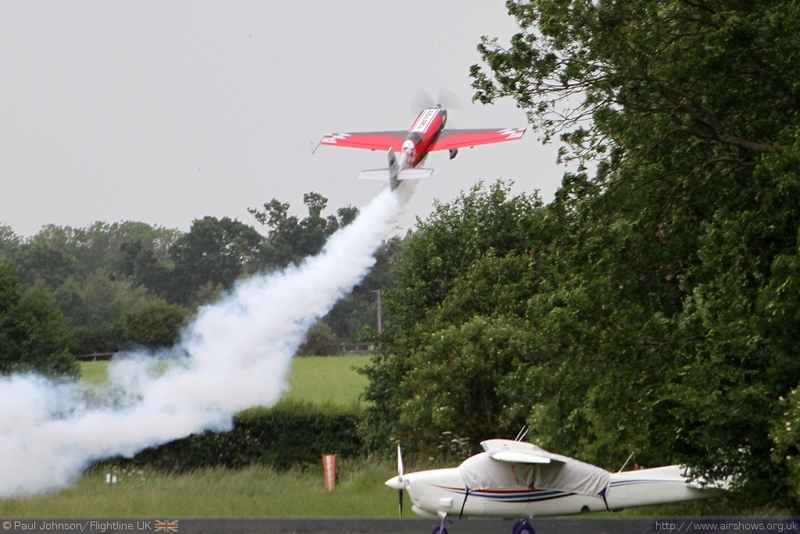 As he completed the displays the rain hit Old Warden bringing perhaps a slightly early end to the afternoon which had provided a fine few hours of entertainment.